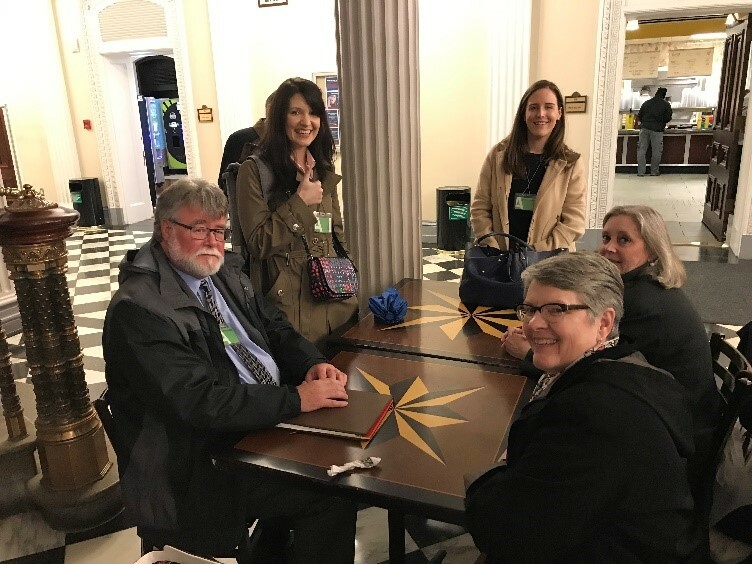 In early March, NACCED members came to Washington, DC for NACCED’s annual Legislative Meeting, in conjunction with the National Association of Counties (NACo) Legislative Meeting. Over the course of four days, attendees received policy and federal budget updates from White House and partner staff; made visits to Congressional offices to advocate for CDBG and HOME; held Board and Committee meetings; presented policy resolutions to NACo’s Community, Economic and Workforce Development Steering Committee; and heard directly from HUD career staff on the status of program funding and regulatory updates. At the end of the week, attendees left Washington with a wealth of knowledge on federal level policy to take back to their communities, as well as strengthened relationships with other NACCED members and partners at HUD and NACo. See below a recap of meeting highlights. The first meeting day kicked off at the Cannon House Office Building on Capitol Hill, with a federal policy and HUD budget update from Doug Rice, a Senior Policy Analyst for the Center on Budget and Policy Priorities. Doug gave attendees an overview of the Fiscal Year 2020 budget and appropriations process with specific focus on the Transportation, Housing and Urban Development and Related Agencies (THUD) appropriations spending bill. Doug shared his predictions on the FY2020 budget, including that on the President’s proposed budget, CDBG will most likely be zeroed out as in prior years; however, Congress will most likely fund the program at recent levels. He also noted that GSE (Fannie Mae, Freddie Mac) reform may be on the Congressional agenda. View Doug's presentation. 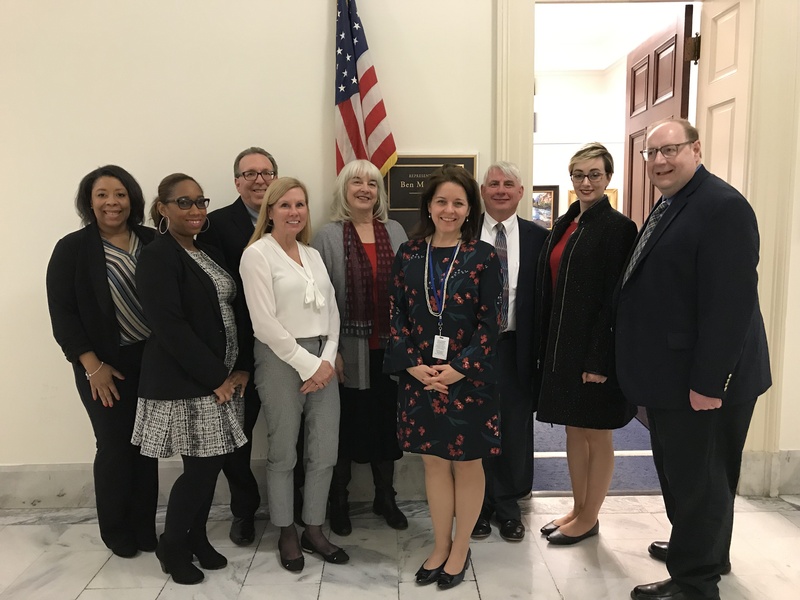 Doug’s comments were followed by a presentation from NACCED Executive Director Laura DeMaria and NACCED Vice President Mary Keating (DuPage County, IL) on tips and best practices for making a successful visit to a Congressional office. NACCED joins the CDBG and HOME coalitions in requesting $3.8 and $1.5 billion for CDBG and HOME, respectively. The last speaker of the day was Ben Hobbs, Special Assistant to the President for Domestic Policy and the White House Domestic Policy Council’s lead on Opportunity Zones. Ben gave a brief history of the genesis of Opportunity Zones, which continue to be a priority for the Trump Administration and an important new feature in the urban revitalization landscape. Ben shared that, in the next few days, the second round of regulations will head from the US Department of Treasury, to the White House, to the Federal Register. The White House and Treasury will be seeking comments. Ultimately, the two sets of rules will be condensed into one, and private investors will be able to act on this final guidance. Further, with the recent Executive Order on Opportunity Zones, HUD Secretary Ben Carson Chairs the inter-agency OZ Council, giving HUD a lead on implementation of OZs in the coming months. Hobbs also shared that he is working on a one-stop-shop Opportunity Zones website with information geared toward investors, community leaders and entrepreneurs. Cross-agency members of the Opportunity Zones Council will also be making visits into communities on the ground. In the afternoon, attendees had the opportunity to visit with key Congressional offices, including Sen. Marco Rubio (R-FL); newly-elected Rep. Ben McAdams (D-UT), the former mayor of Salt Lake County; and Sen. Tina Smith (D-MN) to share information about the housing and community development projects in their communities. The evening ended with a networking event on the Hill for attendees to reflect on the information learned and experience gained while advocating for their programs. On Friday, attendees gathered at the Washington Hilton, the site of NACo’s Legislative Conference, to convene Committees and hold the Board of Directors meeting. All of NACCED’s committees met: Housing, Education, Membership, Community Development, Economic Development, and Resolutions. During the Housing Committee meeting, New York City Dept. of Housing Preservation and Development VP of Government Affairs Elizabeth Strojan joined to give an overview of the LIHTC program and answer questions from members. Additional committee action items included brainstorming educational topics for this year’s NACCED Annual Educational Conference and Training; discussing upcoming HOME and related training provided to members by NACCED and partners; adopted NACCED’s 2019 Policy Priorities; and discussion and approval of proposed resolutions on HUD appropriations and guidance on Opportunity Zones. 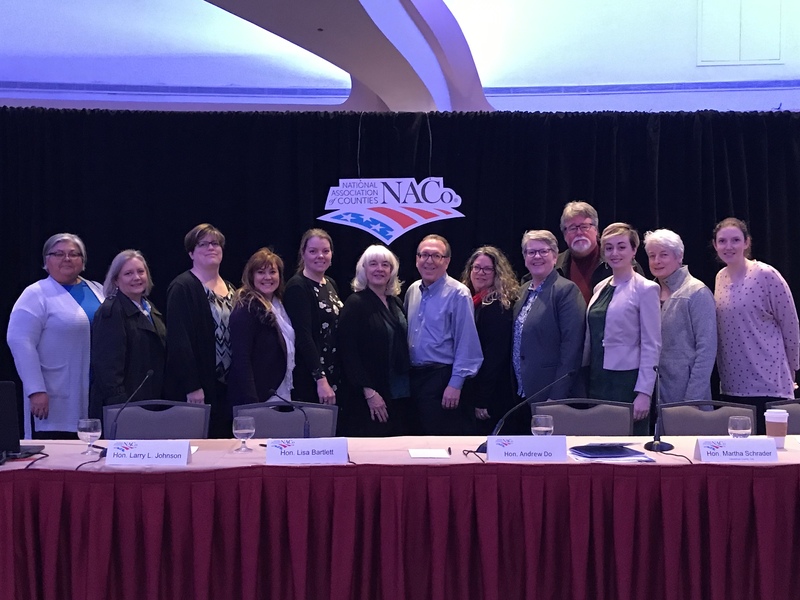 Each year, NACCED submits resolutions to the NACo Community, Economic and Workforce Development Steering Committee for adoption. Additionally, attendees heard program and policy updates from HUD career staff, including Claudette Fernandez, Director, HUD’s Office of Block Grant Assistance; Steve Johnson, Director, Entitlement Communities Division; and Peter Huber, Deputy Director of HUD’s Office of Affordable Housing Programs. 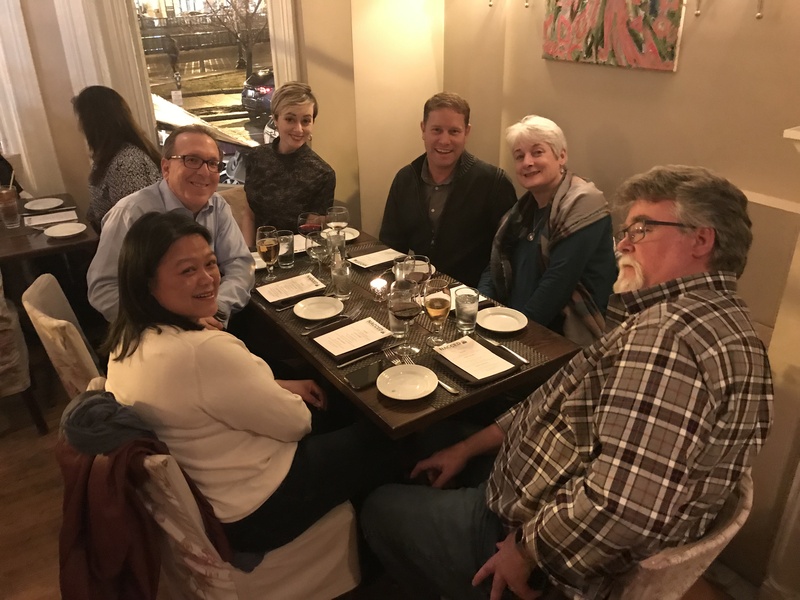 In the evening, NACCED held its Board and Committee Chairs and Vice Chairs dinner in DuPont Circle, a great way to reconnect with attendees ahead of NACo’s Legislative Meeting. NACCED is a proud NACo affiliate and holds a seat on NACo’s Community, Economic and Workforce Development (CEWD) Steering Committee. On Saturday, NACCED attendees joined the subcommittee meeting to discuss their sponsored resolution on Opportunity Zones. On Sunday, attendees watched the Large Urban County Caucus meeting, which featured speakers including Commissioners from across the country, and experts from the White House and private sector and HUD, discussing issues like homelessness and healthcare access. 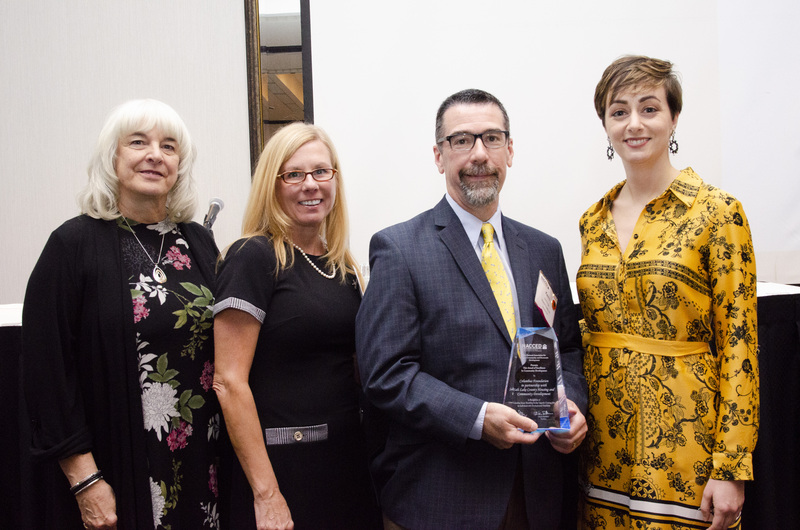 Be sure to check out all the photos from this year’s meeting, and we hope you will join us for next year’s Legislative Conference, February 27-March 1, 2020 in Washington, DC. Historically, this process - just like any other onsite administrative task - has been conducted via pen and paper. Perhaps even more time-consuming, is the data verification part of this process, which consists of searching through hundreds (if not thousands) of paper certified payroll reports to confirm the data matches. Wouldn’t it be nice if this whole process could be streamlined through electronic interviews on a tablet? Better yet, imagine how much time would be saved if those interview results were automatically cross- checked with the certified payroll data submitted through a cloud-based compliance solution? This month, the NACCED Executive Board met in Washington, DC for their annual end of year meeting. The NACCED Executive Board consists of President, Mitchell Glasser (Orange County, FL), Vice President, Mary Keating (DuPage County, IL), Secretary/Treasurer, Cheryl Markham (King County, WA-joined telephonically), NACCED Rep. to NACo, Patricia Ward (Tarrant County, TX) and Immediate Past President, Karen Wiley (Salt Lake County, UT-not present). Also in attendance for the meeting was former President, Chuck Robbins (Clackamas County, OR). During their time in Washington, the group also met with officials from the White House and the U.S. Department of Housing and Urban Development Community Planning and Development Division. The group first met with Benjamin Hobbs, a White House Policy Advisor for domestic policy. Hobbs is a former Special Policy Advisor for the Department of Housing and Urban Development’s Office of Public and Indian Housing. The conversation with Hobbs focused around Opportunity Zones and how the Administration can make access to this new resource more accessible for communities across the country. The NACCED Executive Board had some pertinent suggestions for the Opportunity Zones rollout, and also relayed some of the issues happening at the local level with the tax benefit. The discussion also centered around making HUD resources more efficient and easier to use. At a time when housing costs continue to rise, it is important for the federal dollars to get a big return on investment. 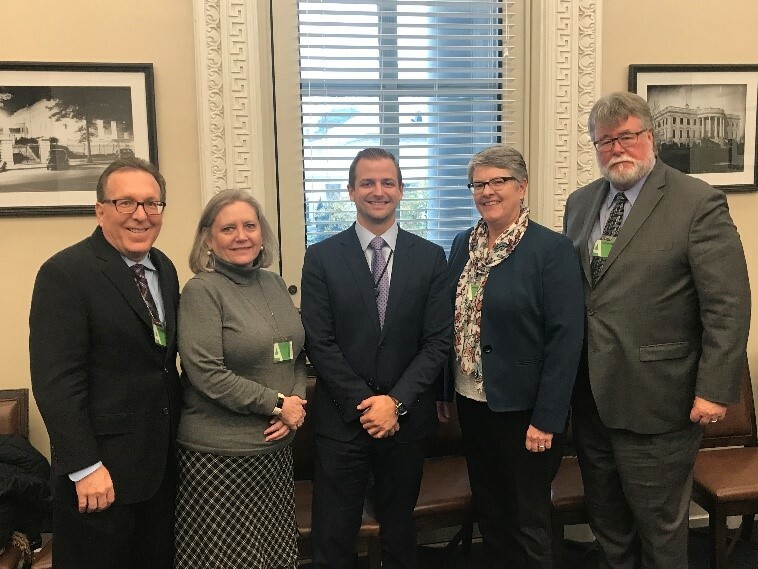 NACCED shared some ideas on how to make it easier for local governments to utilize HUD funds for important housing and community development projects. Following the White House meeting, the group went to HUD headquarters where they met with Virginia Sardone, Director of the Office of Affordable Housing Programs, Peter Huber, Deputy Director of the Office of Affordable Housing Programs, Claudette Fernandez, the new Director of the Office of Block Grant Assistance, Steve Johnson, Director of the Entitlement Communities Division of the Office of Block Grant Assistance, Stan Gimont, Deputy Assistant Secretary for Grant Programs, and Norman Suchar, Director of the Office of Special Needs Assistance Programs. The discussion focused on what HUD grantees can expect regarding FY 2019 HUD appropriations, the future of the Neighborhood Stabilization Program (NSP), Continuum of Care program issues, the HOME Investments Partnership Community Housing Development Organization (CHDO) set-aside, and more. These meetings provide NACCED with the opportunity ask questions of HUD’s decision makers, while also relaying information about what’s happening at the local level for grantees executing HUD programs. 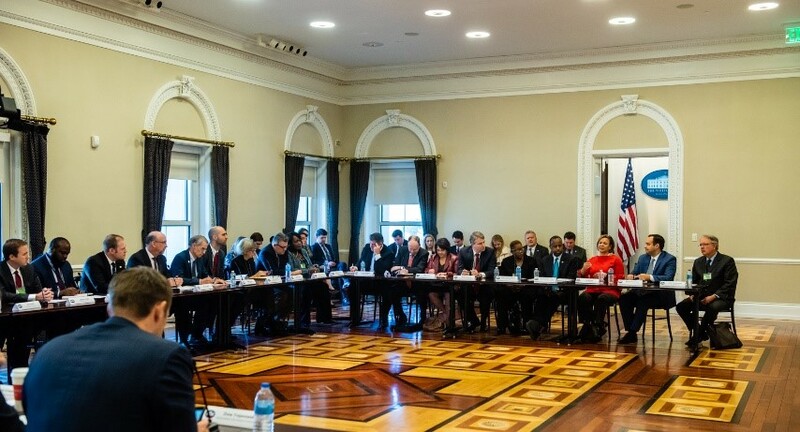 NACCED recently had the opportunity to attend the first Housing Affordability Roundtable at the White House. 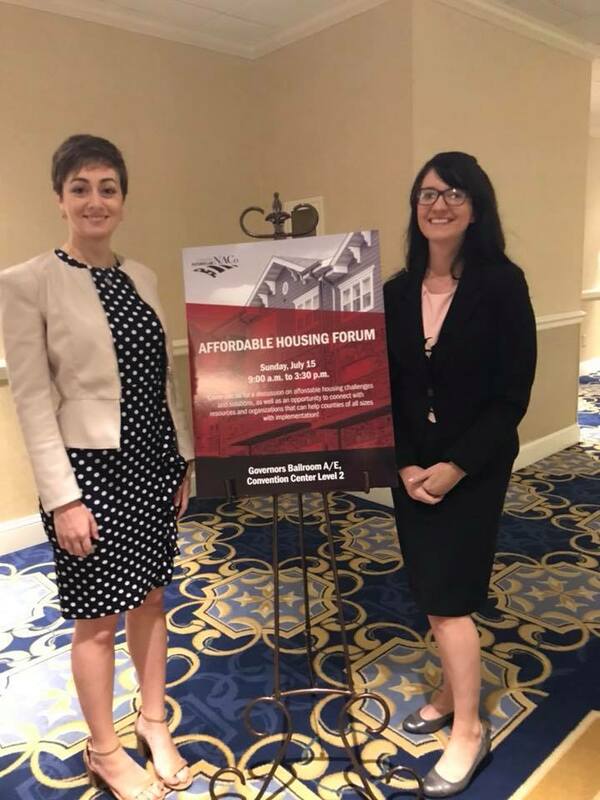 This event brought mayors and county commissioners to Washington to speak with the Administration’s top housing officials about the affordability challenges and solutions happening in communities across the country. HUD Secretary Ben Carson kicked off the event by outlining some of the affordable housing issues HUD is working to address including the issuance of new condo rules, increasing housing density, incentivizing the private sector to build affordable housing, and working with landlords to get vouchers accepted in more housing developments. Following the Secretary’s remarks, the discussion opened up to the local government leaders who shared some of the issues happening in their communities. Representatives from a wide range of communities were in attendance, including county commissioners from NACCED members El Paso County, CO and King County, WA. The discussion centered on issues including the gap in resources to help complete affordable housing developments, the lack of resources to allow seniors to age in place, the need for more affordable housing infrastructure, the costs of affordable housing including labor, materials, and zoning regulations, and impact that Opportunity Zones will have on the affordable housing stock. The meeting ended on a positive note, as Secretary Carson noted solutions to these issues cannot be found without open discussion. 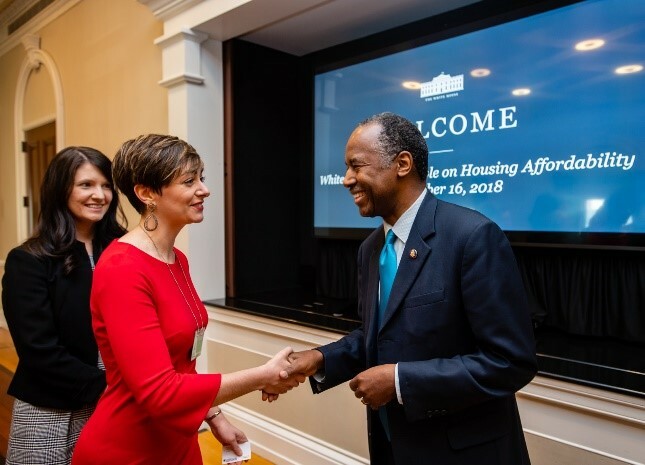 HUD and White House staff said the roundtable was just the first in a series of discussions with local government leaders on affordable housing issues. 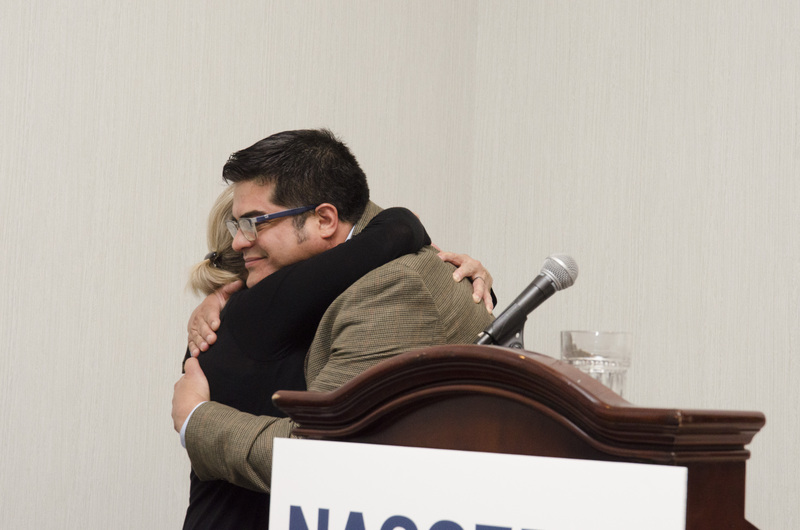 NACCED looks forward to continuing these conversations with the top affordable housing decision makers and building on relationships that will help NACCED members do more for their communities. When examining the production of affordable housing within the United States, it is clear that driving forces behind development include the complex financial tools known as Low Income Housing Tax Credits (LIHTC) and Private Activity Bonds (PABs). Both of these tools are federal subsidies that incentivize affordable rental housing. In the current housing market, subsidiaries from multiple sources are crucial to making properties financially feasible. The LIHTC program was established as part of the Tax Reform Act of 1986. It provides tax incentives which encourage investments in the development, acquisition, and rehabilitation of affordable rental housing. Investors are able to claim tax credits on their federal income tax returns. The equity raised with the investments can then be used for newly constructed or substantially rehabilitated affordable housing properties for low-income households. LIHTCs provide equity equal to the present value of either 30 percent (referred to in this report as the 4 percent credit) or 70 percent (referred to as the 9 percent credit) of the eligible costs of a low-income housing project, depending in part on whether tax-exempt bonds are used to finance the project. 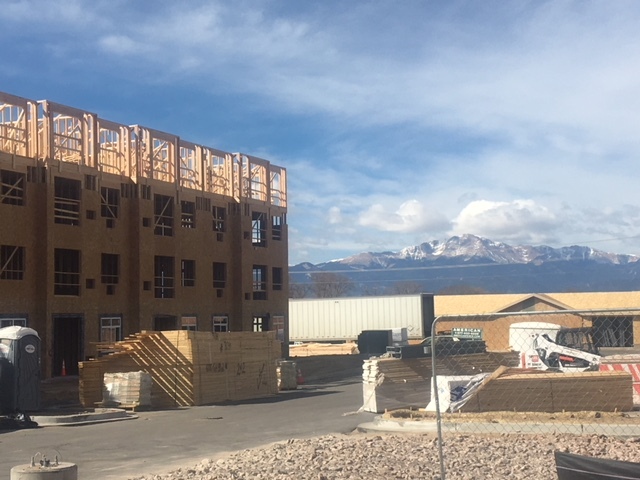 In El Paso County, Colorado, Inland Group (an experienced affordable housing developer based in Washington) was able to not only effectively use LIHTC and PABs, but layer in a third subsidy: 4% state tax credits. This third subsidy was especially significant, as it was not only very competitive, but the first development ever to receive state tax credits in the region. The feat was likely gained due to Inland Group’s ability to recognize the need for senior housing in El Paso County, execute thorough and thoughtful development plans, clearly demonstrate their capacity through successful past performance with tax credit developments, and their ability to secure robust local financial and political support for the project. So how did tax credits really impact the finances of the development? Total development costs for this 180 unit senior complex were just over $31M. $21M in PAB were issued, which allowed for nearly $10M in tax credit equity with another $1.7M in state tax credit equity. Additionally, the project was able to leverage nearly $2M in local soft funds—those funds came from federal entitlement programs and a local housing trust fund. Legal costs, initial operating costs and developer fees were also factored in. So what does this complex financial deal actually mean for a community? Well, on October 24, 2018, Inland Group held a ribbon cutting event to show local civic leaders and residents what benefit tax credits can bring to a community. El Paso County, Colorado, like many other areas in the nation, is facing an affordable housing crisis. And with a rising senior population priced out of the current market, many of our long-standing citizens are left with very few affordable housing choices. 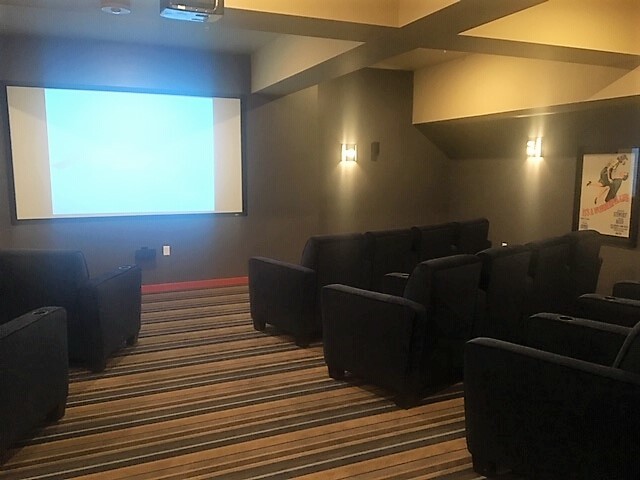 Inland developed a beautiful complex with state of the art amenities including: a theater room, library, and internet café, raised garden beds and welcoming gathering and common areas. But most importantly, the development contains 180 units of housing eligible to those over the age of 55 making less than 60% of the area’s median income. This new and affordable housing, not only offers on-site amenities, but is also walking distance to a grocery store and several other shopping options, less than 3 miles from a major hospital and medical provider complex, and right on the public transit bus route. The development has given 180+ seniors in our region access to housing choice within an area that offers all the services and amenities they may need. 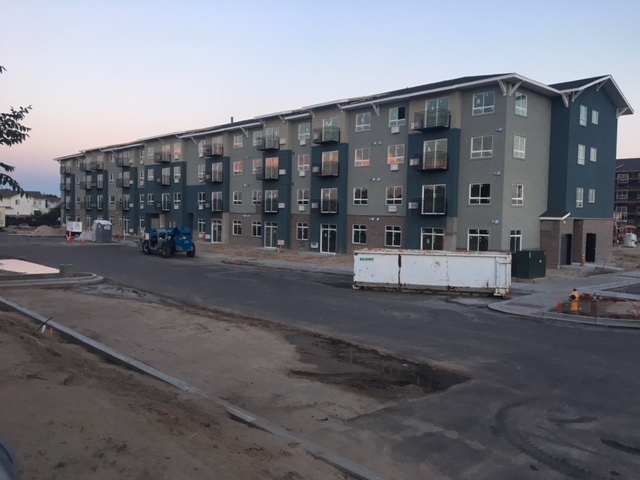 Every day brings new choices, and today in El Paso County, low-income seniors now have one more housing choice thanks in part to Low Income Housing Tax Credits. 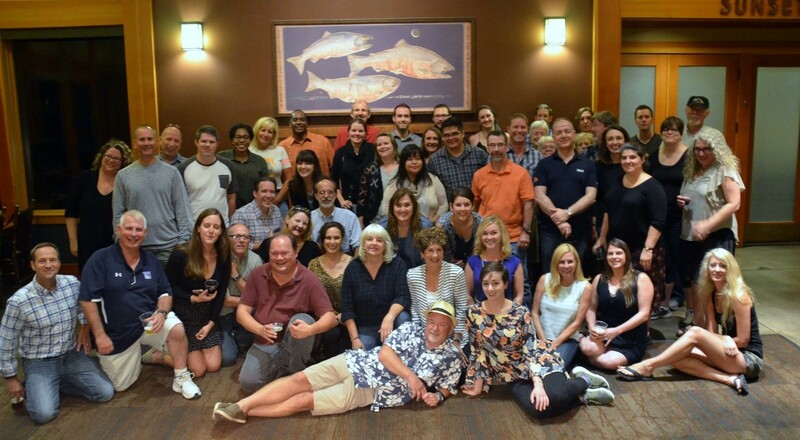 NACCED held its 43rd Annual Educational Conference and Training in Minneapolis, MN September 23-26, 2018. Hosted by Anoka, Dakota, Hennepin, Ramsey and Washington Counties, the event brought together housing, community and economic development professionals from counties and cities across the country discussing topics as diverse and timely as missing middle housing, community land trusts, Opportunity Zones, gentrification and much more. The conference kicked things off with two training workshops: ZoomGrants 201 and Housing Counseling Certification Rule Training. These deep dive educational offerings provided attendees with an opportunity to bring additional practical information back to their communities. Following the workshops, NACCED held its standing committee meetings including the Education, Housing, Community Development, Economic Development and Membership Committees. The committees discussed several best practices, tools, and resources for local governments to utilize. Committee presentations included an update on Opportunity Zones, a look into a regional affordable housing study from Orange County, FL, and an intro and conversation on HUD’s Section 108 Loan Guarantee program. Day two of the conference was packed with interesting and innovative topics. Attendees were welcomed by Hennepin County Board of Commissioners Chair, Janis Callison and through a video message from Minnesota Senator Amy Klobuchar. The opening general session featured a briefing from HUD Headquarters’ Peter Huber, Deputy Director for the Office of Affordable Housing Programs and Steve Johnson, Director of Entitlement Communities Division in the Office of Block Grant Assistance. The session featured information on new guidance coming from HUD, and what grantees should prepare for in the coming months. The session also included a robust question and answer section where attendees asked all the burning HUD questions they’ve been holding onto. 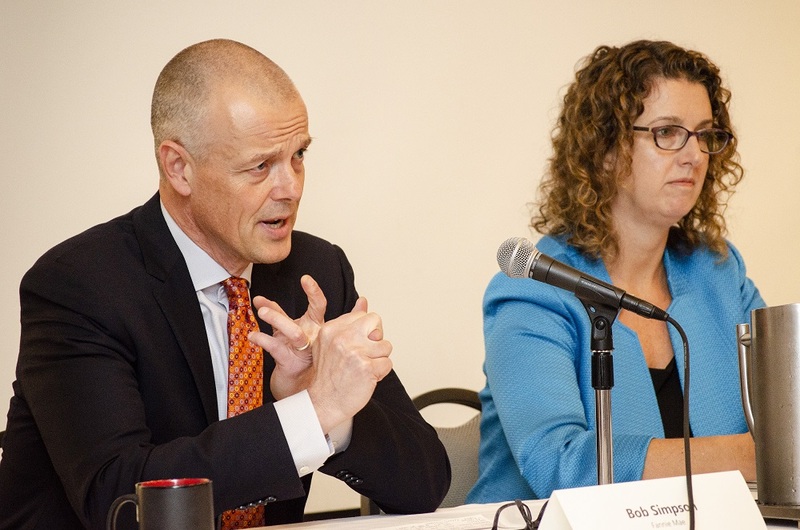 Next, national housing experts Bob Simpson, Vice President of Multifamily Affordable and Green Housing at Fannie Mae and Diane Yentel, President and CEO of the National Low Income Housing Coalition, presented on Housing is Infrastructure. They also provided attendees with helpful information about how local governments can help frame the housing conversation to get community support for affordable housing investment. The afternoon sessions featured several panels split into three tracks: Housing, Policy and Planning, and Community and Economic Development. 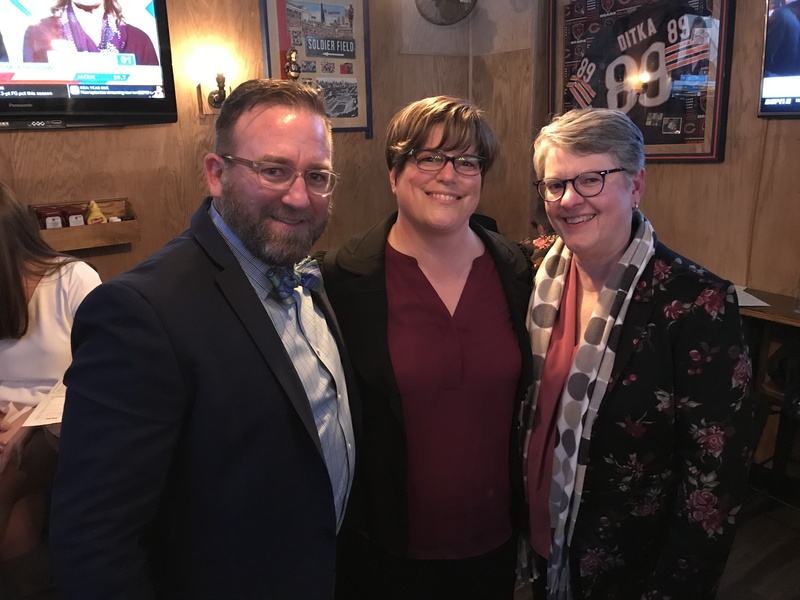 Topics included naturally occurring affordable housing, comprehensive planning strategies, innovations in economic development, community land trusts, disaster prevention, and small business growth. The day ended with the John C. Murphy Scholarship Fund Silent Auction sponsored by Dominium. The auction had a number of highly sought-after items and raised over $2100 for the scholarship fund! Day three of the conference kicked off with a welcome from Michael Langley, CEO for Greater MSP, the Minneapolis and St. Paul Economic Development Partnership. Langley spoke about the incredible economic development work being done in the region. 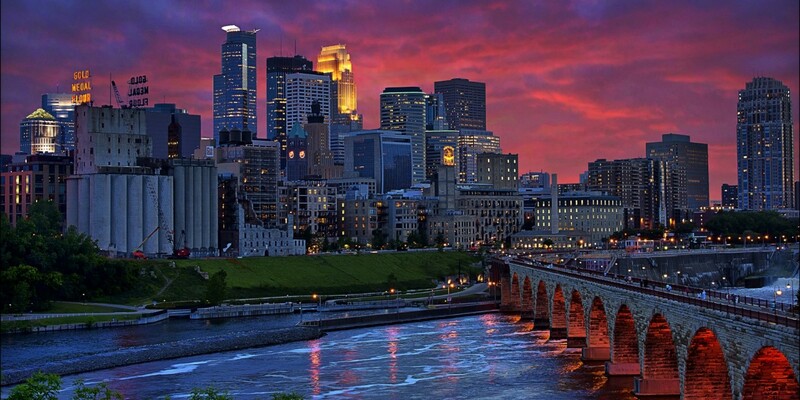 Minneapolis-St. Paul is home to 19 of the Fortune 500 Companies including Target, Best Buy, 3M, General Mills and more! The morning general session included a panel from the region speaking about the Dorothy Day Place and Higher Ground, a two-building campus designed to prevent and end homelessness. The session provided attendees with a primer for the Higher Ground conference tour held the following day. The Tuesday morning concurrent session topics included alternative housing and the missing middle, the Twin Cities section 3 collaborative, and a telling your story workshop. The concurrent sessions were followed by the annual awards luncheon and NACCED business meeting. Attendees heard from keynote speaker Ben Austen, author of the book High-Risers: Cabrini-Green and the Fate of American Public Housing. Ben Austen was also a guest on the NACCED Holistic Housing Podcast earlier in the month. Attendees were able to purchase Austen’s book and have it signed during the luncheon. 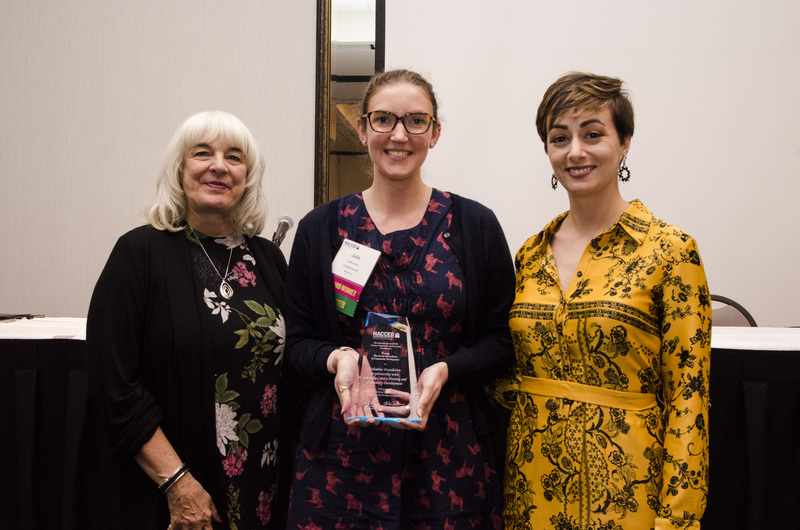 Following the keynote speech, a number of awards and honors were announced as part of the annual NACCED business meeting. 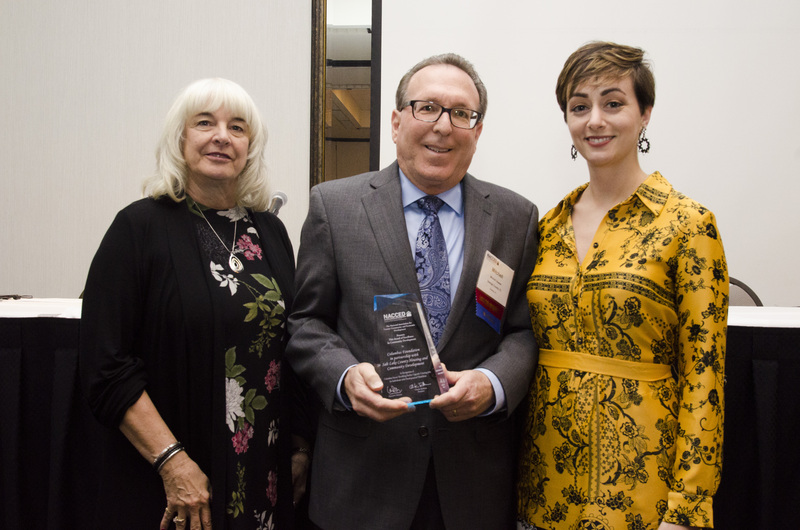 The Roy Hoover Award, named for NACCED’s co-founder and first Board president, is presented to an individual who has made extraordinary contributions and achieved significant accomplishments in his or her service to NACCED, to the housing, community development and economic development profession, and to county government. Andrew is a former DuPage County, IL intern and current Iowa State University student. The day finished with more concurrent sessions coving topics including in-house vs. third party administration, special presentations from the University of Minnesota Center for Urban and Regional Affairs students, and putting a low-income housing tax credit deal together using CDBG and HOME funding. 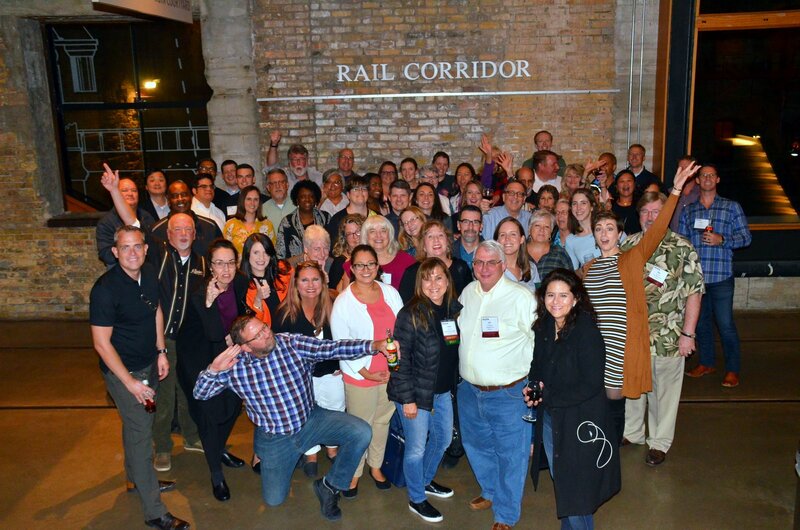 The evening featured a conference-wide event and networking reception at the Mill City Museum sponsored by ZoomGrants. This unique museum focuses on the growth of Minneapolis featuring some of the major industries in the area, especially flour milling, and is built around the ruins of what was once the world’s largest flour mill. The conference closed out Wednesday with a tour of Higher Ground, an overnight emergency shelter in St. Paul with social services provided through collaboration with Ramsey County. Staff from the facility guided attendees around and explained the many services the shelter provides homeless adults in the region. Thank you to our Minnesota hosts and the incredible sponsors, presenters and attendees who made this conference a success. 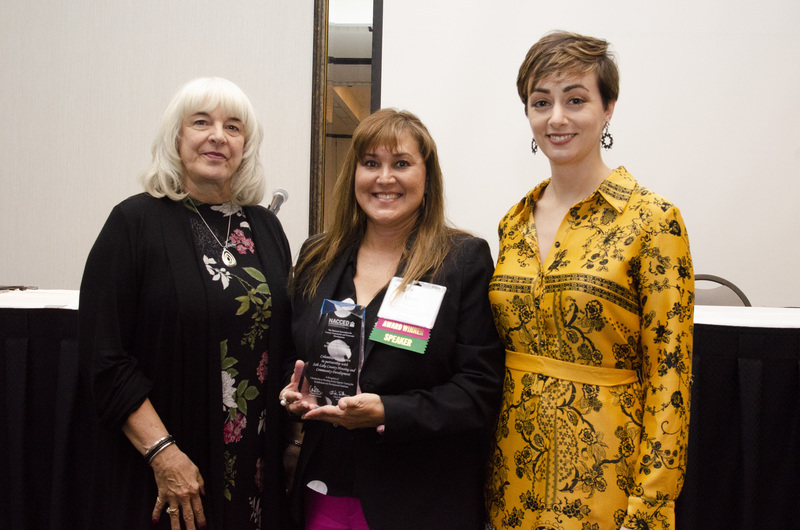 We’re looking forward to seeing everyone next year in Tucson, Arizona for the 44th Annual Educational Conference and Training hosted by Pima County, Arizona, October 13-16, 2019. More details to come! Who should attend the NACCED Annual Conference? We’ll gather in Minneapolis, MN September 23-26 to learn about topics as diverse as disaster preparedness, early childhood education, missing middle housing and more, while enjoying networking and social events. Attendees to the conference are county and city government coordinators, managers, analysts and directors with special knowledge of the federal grants that empower communities’ housing, community and economic development programs. 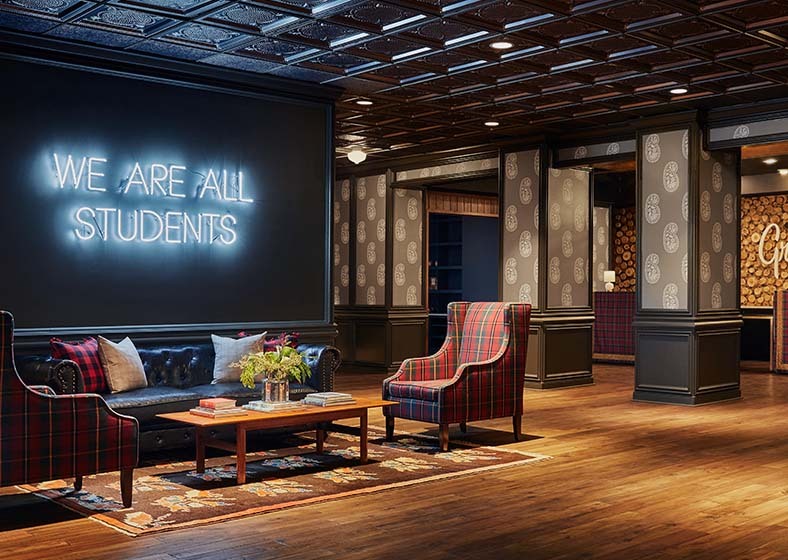 With a range of education for those early in their career and those more experienced, it is a good idea to bring several members of your staff in order to maximize your educational experience. This year’s program has several highlights including general sessions, a keynote address and breakout sessions. 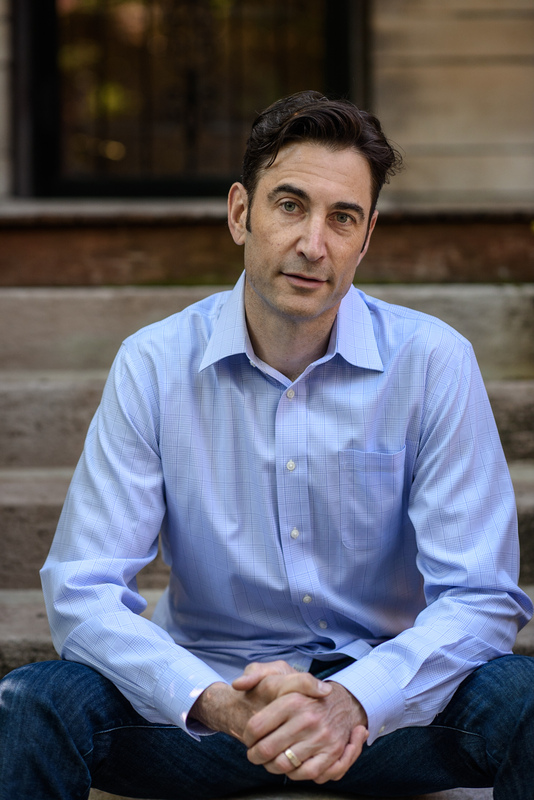 We’re especially excited about our keynote speaker, Ben Austen, the author of bestseller High Risers: Cabrini Green and the Fate of Public Housing. What do attendees have to say about the NACCED conference? Register today! And don’t forget to book your hotel and check out the overall draft agenda. We look forward to seeing you in Minneapolis! This article was originally published by ViewPoint Cloud, a NACCED Platinum Associate member. 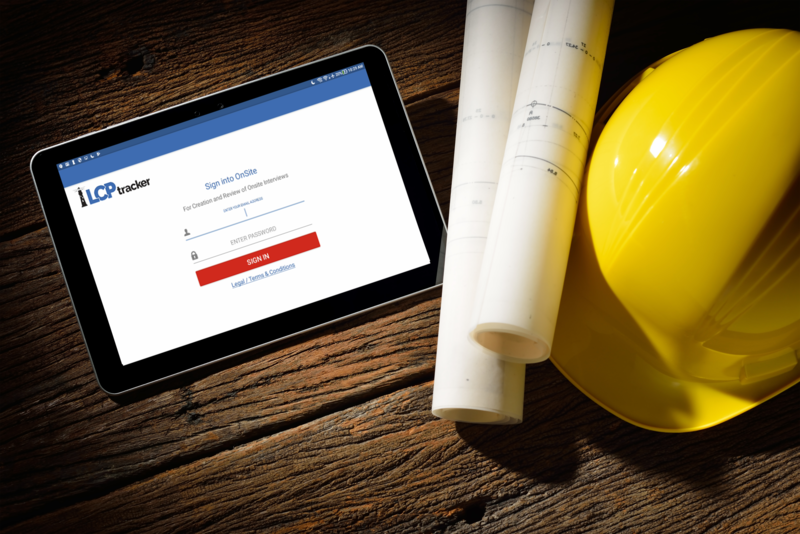 ViewPoint Cloud is the industry’s leading software platform for permitting, licensing, inspections, & code enforcement operations. Built with the idea that local and state governments deserve the same design and technology standards as the private sector, ViewPoint Cloud offers a seamless, user-friendly experience for public applicants, fully integrated with powerful workflow automation for department staff. Serving 150+ municipalities and 7 million+ citizens nationwide. Marijuana regulation remains a controversial subject across all levels of government, but there’s no denying the fact that the tides are changing in favor of legalization. The 2016 election season—where a historic number of states passed ballot initiatives legalizing marijuana—seems to have been a tipping point, and the pro-legalization movement is showing no signs of slowing down. According to BDS Analytics, the cannabis industry generated nearly $9 billion in sales in the US last year, equivalent to the entire snack-bar industry. More than 121,000 people work in cannabis-related jobs, and there are at least 9,397 active licenses for marijuana businesses, according to Cannabiz Media. Most importantly, public opinion is fueling this shift. 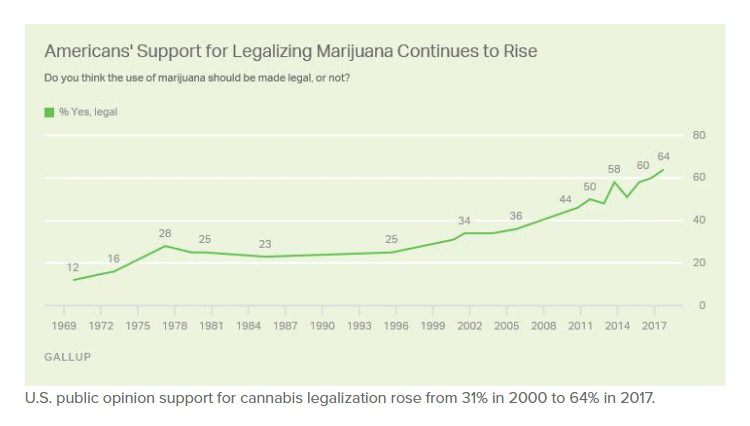 As a recent Gallup survey shows, support for legalization rose from 31% in 2000 to 64% in 2017. 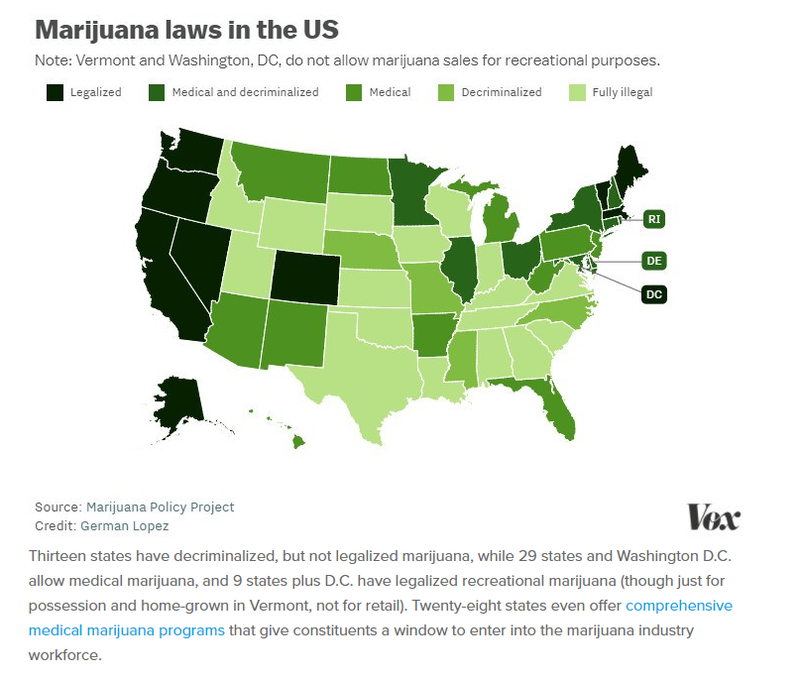 While marijuana has been listed as a Schedule 1 drug at the federal level since the Controlled Substances Act in 1970, individual states have passed their own laws legalizing the production and sale of marijuana in various forms, uses, and under the umbrella of different business types. Growing evidence of the medical benefits of marijuana may lead to the federal government changing its Schedule 1 drug classification. However, even if this does’t happen in the near future, industry pressure and international legalization efforts (like Canada’s recent legislation) are paving the way for more cannabis-friendly regulation. There’s even a bipartisan bill currently facing the Senate that would explicitly allow states to pass their own marijuana laws without interference from the federal government. So the question now is, how are local governments going to respond? While legalization is first enacted at a state level, individual municipalities define the lines of how cannabis businesses can operate within their borders. In California, for example, cannabis businesses must prove they have permission to operate from their local government before they can get a license to operate from the state. Permitting, local fee collections, and enforcement also fall to the municipality, making proactive and intentional regulations all the more important. 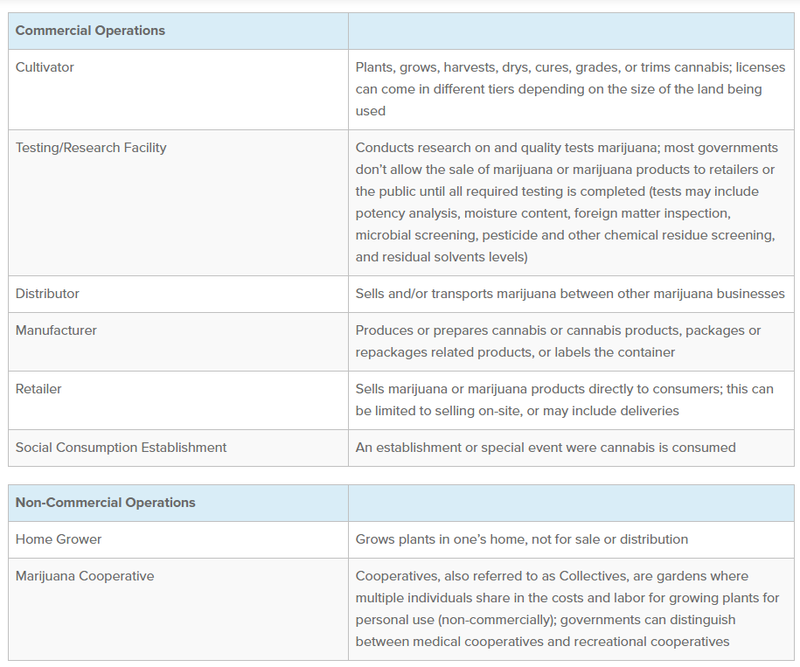 Regulating cannabis businesses isn’t just a question of legality—the minutia of what types of businesses, what types of products, and other regulatory limits have to be established by both state and local governments. These decisions aren’t black and white, and there is no standard blueprint. Reviewing best practices within the local context of your individual community is the best plan for creating an effective, sustainable regulatory environment. In cases where state legalization has already occurred, local governments have responded to varying degrees. Some outright ban all marijuana-related businesses, some allow medical dispensaries but not recreational, some only allow home growers, and others open their doors to all components of the marijuana industry. When considering incorporating cannabis businesses into the local tax base and economy, it’s also crucial to think about how to structure licensing in a way that can scale with a rapidly growing market. This process should be accessible and user-friendly, so business owners are encouraged to register correctly and in a timely manner. This ensures the city or town collects all possible tax revenue, has an accurate picture of the spread of new businesses, and can oversee a smooth rollout with minimal complications. If you’re thinking, this research is jumping the gun because legalization hasn’t occurred in my state (yet)— understanding these details before the market opens sets you lightyears ahead. The more organized and structured you can be ahead of time, the more success you’ll find in practice and be able to see the industry evolve in the ways you planned. In figuring out where to begin, it’s important to understand the full scope of marijuana-related establishments as approaches to licensing, planning and zoning, and taxation will differ accordingly. High CBD/Low THC: marijuana plant or products with no or low THC (psychoactive ingredient) and high amounts of CBD (non-psychoactive ingredient), typically useful for medical treatments without the associated ‘high’. Regulating commercial businesses is most commonly the primary focus, but even within ‘commercial’ types, municipalities need to decide what types of operations are appropriate for their community. For example, some communities may not allow cooperatives or delivery businesses because they are harder to regulate, while others will be more concerned with odors coming from manufacturing sites. Permitting and licensing is the most important consideration when it comes to how municipalities regulate marijuana. What requirements and guidelines each business type entails has to be determined by what fits for your unique community. To view this guide in full, including Cannabis Permitting and Licensing Considerations, click here. Housing Committee: Adriane Harris from the Nashville Mayor’s Office of Housing and Morgan Mansa, former Executive Director of the Barnes Housing Trust Fund presented on the unique housing programs being piloted by the city. Click here for their presentation. Economic Development Committee: Members heard from Kipp Kranbuhl, Deputy Assistant Secretary for the Office of Financial Institutions at Treasury and Dan Kowalski, Counselor to the Secretary at Treasury and were able to ask questions about the new Opportunity Zones program. Community Development Committee: The committee discussed the potential CDBG program move to Bureau of Economic Growth and reviewed the committee reports developed from the IDIS survey conducted earlier this year. Membership Committee: The committee reviewed the latest membership report and outlined the rollout for the new student membership category. Education Committee: The committee reviewed efforts to hold monthly themed educational outreach. 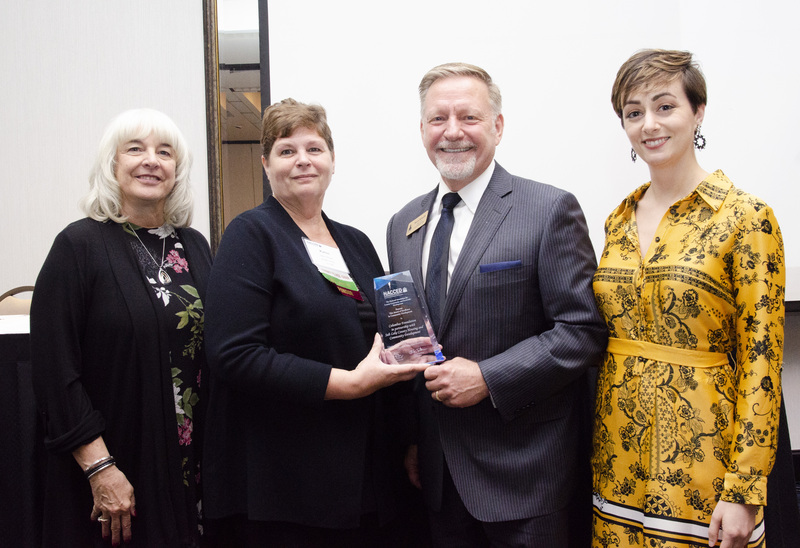 Additionally, the Minnesota counties provided an update on the 2018 NACCED Annual Educational Conference and Training. Resolutions Committee: NACCED reviewed its new resolution on housing infrastructure being submitted to the NACo Community, Economic & Workforce Development Steering Committee. The group also received a legislative update from NACCED Policy Director, Heather Voorman reviewing the status of the Fiscal Year (FY) 2019 budget and appropriations process and an update on relevant federal legislation. 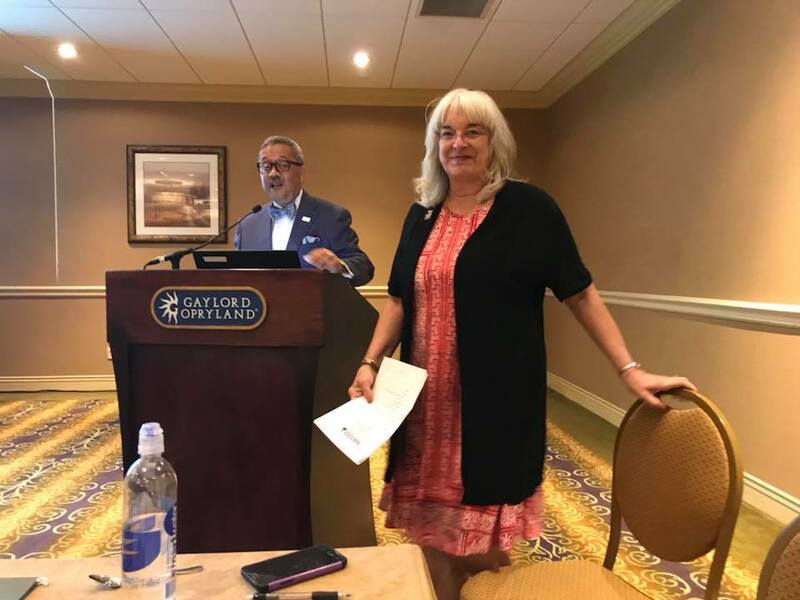 The NACCED Board of Directors wrapped up the day with their meeting reviewing the committee actions, a financial report, an update from Patricia Ward, NACCED representative to the NACo Board, and a report from NACCED’s Executive Director, Laura DeMaria. 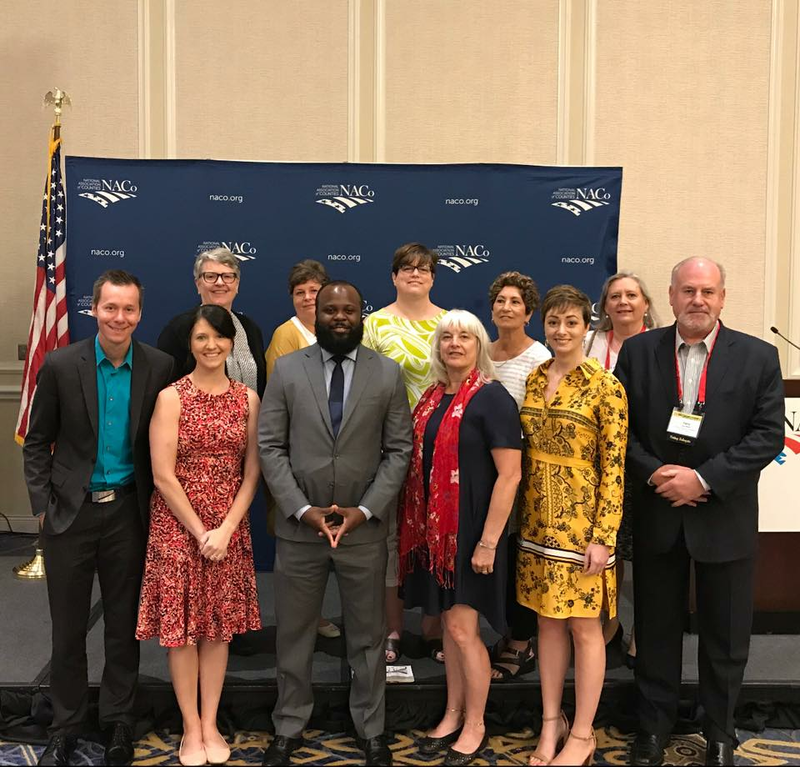 On July 13th, NACCED members attended the NACo Community, Economic & Workforce Development Steering Committee’s resolutions meeting to support several resolutions sponsored by NACCED. In addition to NACCED’s newly proposed resolution on housing infrastructure, NACCED sponsored two resolutions being added to the committee’s platform including a resolution in support of the Low-Income Housing Tax Credit (LIHTC) and another in support of New Markets Tax Credit (NMTC). Other resolutions discussed during this meeting included protecting the health and safety of sober home residents, funding for HUD-VASH vouchers for homeless veterans in FY 2019 budget, FY 2019 appropriations for the U.S. Department of Housing and Urban Development, preservation and expansion of affordable housing stock, FY 2019 appropriations for the Workforce Innovation and Opportunity Act (WIOA), registered apprenticeships program flexibility, and the reauthorization and appropriations for the Department of Commerce’s Economic Development Administration. Click here for the full text of the resolutions. The Committee also hosted a variety of informational presentations on community, economic and workforce development tools being used by counties across the country. The Large Urban County Caucus met on July 14th. This caucus represents many NACCED county members and provides a forum for the exchange of ideas and solutions that help urban counties address their most pressing issues. The committee hosted Senator Lamar Alexander, the Senior U.S. Senator from Tennessee. Senator Alexander discussed the pressing legislative issues facing Congress. The meeting also featured an update on the implementation of the Opportunity Zones program from Jeremy Keele, Senior Advisor at Maycomb Capital, Donnie Charleston, Director of State and Local Fiscal Policy Engagement for the Urban Institute, and former NACCED Holistic Housing Podcast guest Ja’Ron Smith, Special Assistant to the President for the White House Office of Legislative Affairs. Finally, on July 15th, NACCED had the opportunity to participate in the NACo Affordable Housing Forum. This forum brought together counties and stakeholders to discuss cutting-edge solutions and available resources to address the worsening shortage of affordable housing in counties of all sizes. 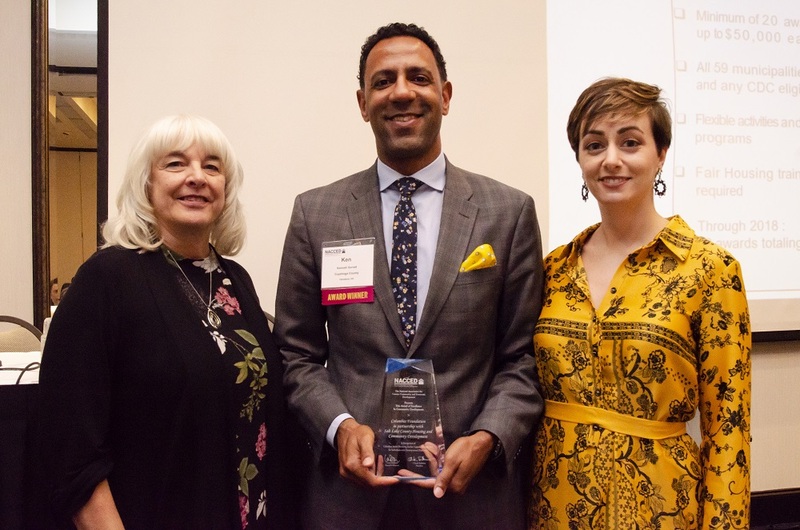 The event featured an address from Neal Rackleff, Assistant Secretary, Community Planning & Development (CPD), U.S. Department of Housing and Urban Development. Rackleff discussed the work being done in HUD’s CPD office and the progress of Community Development Block Grant Disaster Recovery (CDBG-DR) 2017 funds rollout. In the afternoon, county attendees were able to examine best practices and participate in “speed networking” with numerous housing focused groups including NACCED. The speed-networking event was a great opportunity for NACCED to connect with counties looking for new ideas and resources for their housing and community development programs. The NACCED committees will next meet in person on Sunday, Sept. 23rd for the 2018 NACCED Annual Conference and Training. These meetings are open to all attendees, so mark your calendars for this opportunity to get more involved in NACCED! The House of Representatives is currently taking its traditional August Recess from July 27 to September 3 and the Senate will have a week-long recess August 6-10. Take action over the congressional break by meeting with your Members of Congress in the communities they represent. When you do make your appointments make sure to let us know, and after the meeting please send your pictures to hvoorman@nacced.org. FY2019 HUD Appropriations: President Trump proposed deep cuts to the Department of Housing and Urban Development (HUD) in his budget this year with over $8.8 billion in cuts to HUD’s funding. The cuts closely resemble the budget request put forward by the President for 2018, including the elimination of the Community Development Block Grant (CDBG) program, the HOME Investment Partnerships (HOME) program, the Community Development Financial Institutions (CDFI) Fund, Choice Neighborhoods Initiative, and the Public Housing Operating Fund. The White House claims these programs are ineffective and outdated, a claim that was also made in the President’s FY 2018 budget request. The budget proposal would also reduce Housing Choice Vouchers to $19.3 billion, and provide $17.b billion for Tenant-Based Rental Assistance (TBRA) contract renewals, merge the Public Housing Capital Fund with the Public Housing Operating Fund, and reduce funding for public housing to $2.8 billion, reduce funding for Section 811 Housing for Persons with Disabilities to $132 million, reduce funding for Housing Opportunities for Persons with AIDS to $330 million, and slightly increase Project-Based Rental Assistance to $10.952 billion. These cuts would have detrimental effects on affordable housing availability across the country, but the President’s Budget is just one part of many in a complex negotiation process. Congress has shown they are willing to provide adequate resources to HUD’s housing programs through the FY 2019 THUD Appropriations bills recently passed at the committee level in both the House and the Senate. The bills that came out of the Appropriations Committees provide funding levels far beyond the President’s requested budget levels to these programs that combat homelessness, house low-income families, and provide crucial services and facilities to under-served populations. The HOME Investment Partnerships and the Community Development Block Grant (CDBG) programs were level funded from FY18 at $1.362 and $3.3 billion respectively in the Senate. The HOME program received a small decrease in the House going from $1.36 billion to $1.2 billion, and CDBG was level funded at $3.3 billion. The Senate bill provides the increases necessary to continue assistance to all families and individuals currently served by rental assistance programs. These numbers include: $22.8 billion for tenant-based Section 8 vouchers; $7.5 billion for public housing; $11.7 billion for project-based Section 8; $678 million for Housing for the Elderly; and $154 million for Housing for Persons with Disabilities. There is concern in the House bill that the Housing Choice Vouchers ($20.1 billion) and the Project-Based Rental Assistance ($11.35 billion) would fall short of renewing all existing contracts. This shortfall could mean fewer families will be served by the program over the next year. Housing for the Elderly ($632 million) and Housing for People with Disabilities ($154 million) funding levels would renew existing contracts. The Homeless Assistance Grants program saw a modest increase to $2.5 billion in the House and $2.6 billion in the Senate and includes several provisions to better serve vulnerable populations including veterans, youth, and survivors of domestic violence. The Senate version of the legislation provides more robust funding for HUD programs, so NACCED is urging members of Congress to support this version of the legislation. Low Income Housing Tax Credit Legislation: Although LIHTC was preserved in the Tax Cuts and Jobs Act of 2017, the lower corporate tax rate along with other provisions will make the tax credit less valuable. An analysis done by Novogradac estimates the final version of the tax reform legislation would reduce affordable rental housing production by nearly 235,000 homes over the next decade. There have been efforts to include the Affordable Housing Credit Improvement Act (or also known as the Cantwell-Hatch legislation) into various legislation throughout 2018. This legislation would increase LIHTC allocation by 50 percent, establish a minimum 4 percent rate, and include other provisions that would strengthen and enhance the LIHTC program. The 50 percent allocation increase alone would finance approximately 400,000 more affordable homes over the next decade that otherwise would not be possible. 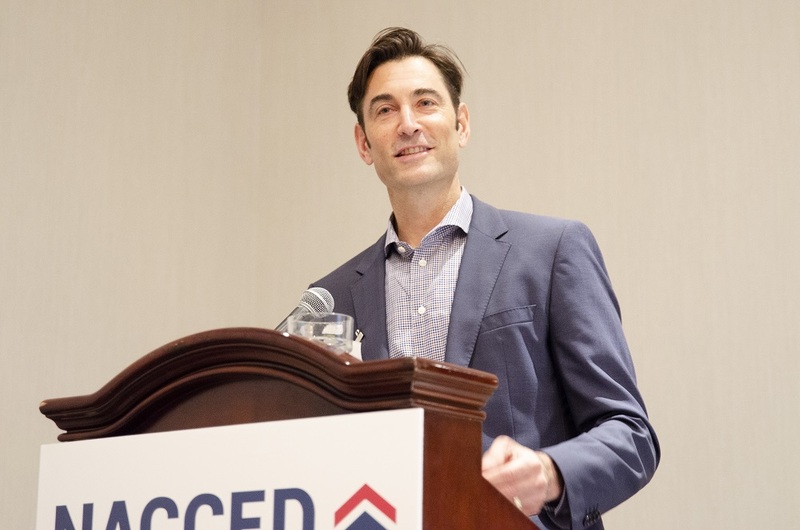 NACCED urges Congress pass the Affordable Housing Credit Improvement Act or to include the legislation in the next tax legislation that Congress advances in the 115th Congress. Private Activity Tax Exempt Bonds are vital to the success of the Low-Income Housing Tax Credit (Housing Credit) program, helping to finance approximately 40 percent of all Housing Credit production. Preserving the tax exemption on housing bonds is critical to tackling the affordable housing crisis, as the elimination of the bonds would mean 38,000 fewer affordable homes created every year. Additionally, the cap on the amount of private activity tax exempt bonds is a major limiting factor for a growing number of states and localities as they seek to preserve existing affordable and public housing and create new housing to meet the growing need. NACCED urges Congress to preserve all tax-exempt housing bonds and seek opportunities to increase private activity tax-exempt bond volume cap so that local HFAs can better meet the needs for affordable housing creation and preservation. Invite your elected officials on tours of projects in the district. This is a good time to highlight successful projects that have already been completed, but also projects that are still in development. Plan meetings with your members of Congress at their district offices. Invite stakeholders and other individuals who can help tell your story. Elected officials like to see the humanity side of these projects, so it is very helpful to bring along families and individuals who have been helped by your programs. Attend a town hall or other local event hosted by a member of Congress. These meetings may not be heavily attended and are another way for you to speak with your elected officials. Don't have time to connect with your Members of Congress in person? Use these template letters to send to them via email or to their district offices while they're in town. Feel free to personalize these and include local projects and success stories. Have questions or need help in making appointments? Contact NACCED’s Policy Director, Heather Voorman at 202.367.2405 or email at hvoorman@nacced.org.